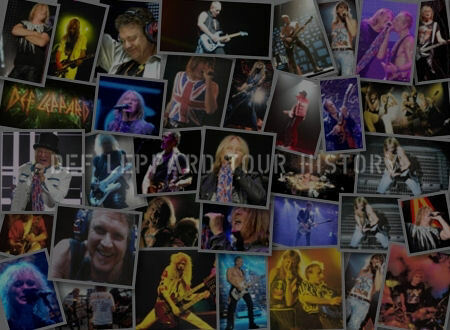 Phil Collen joined Def Leppard as their co-lead guitar player in London 36 years ago on this day in 1982. Phil turned up to Peter Mensch's house on 12th July and took over from Pete Willis who had been fired at the same house the day before. He helped to finish off the 'Pyromania' album including adding some now famous guitar solos on 'Stagefright' (in one take), 'Rock! Rock! 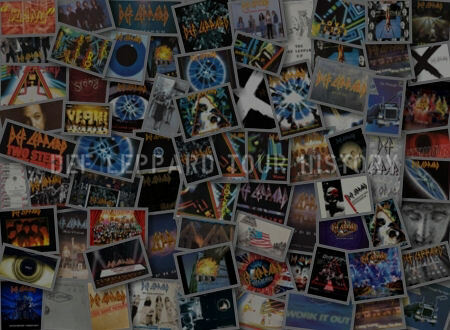 (Till You Drop)' plus 'Photograph', 'Rock Of Ages' and 'Foolin'' all of which would become hit singles. He also formed a partnership with Steve Clark that would see them become known as the Terror Twins. Phil is shown above photographed on stage at the Broadmoor World Arena in Colorado Springs, CO on 29th May. Shown below are various quotes from the band about Phil and extracts from the official Animal Instinct biography from 1987. "We expect better things for the future now that Phil's in the group because he's going to contribute a lot more. Playing with him on stage every night is a pleasure." "He's somebody that we all get on with." 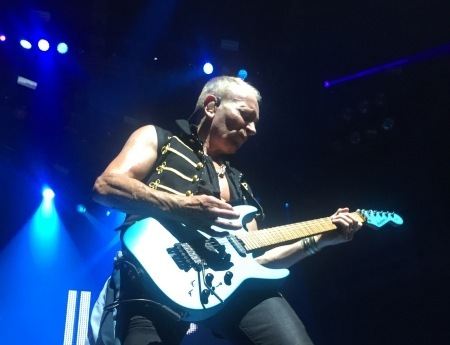 "We're so pleased with the addition of Phil Collen. Phil's been just great to work with...able to contribute a lot to Pyromania and he's been a joy on tour. His addition has made us stronger than ever." The same day that Pete Willis got his fateful phone call, Phil Collen also received one from Joe Elliott. Joe told him Pete was out of the band. Would Phil mind coming down and helping out with the new album? Joe had already heard through the British rock grapevine that Phil's band Girl was on the verge of breaking up. 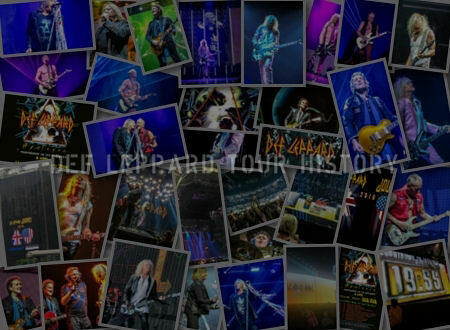 And from what he knew of Phil and his guitar playing, he was perfect for the Leppard job. Indeed, Peter Mensch claims that no other candidates were seriously considered that day. Phil Collen got the one and only call. Phil was a friend of the Leppards from way back- he'd sent them a congratulatory telegram the day of their headlining show at London's Lyceum in April, 1980 and had jammed with the band at club dates in Sheffield and London. Phil was well aware of the Pete Problem. During the Ozzy Osbourne leg of Def Leppard's High 'n' Dry tour, Joe had called Phil to say, only half-jokingly, "Can you learn sixteen songs in four days?". He talked about Pete's drinking and the trouble it was causing within the band. But that was the end of the subject, until the World Cup Sunday in July 1982. Phil agreed to meet with the rest of Leppard at Peter Mensch's house the next day (12th July). Things got off to an interesting start when Phil's car, a Ford Cortina, broke down right outside Peter's house. He walked in carrying the Ford's gear lever in his hand. He and Joe went outside to try and fix it. They put the gear stick in backwards, which out the car in reverse. Suddenly the Ford lurched back and nearly went through Peter's living room window. Finally, Phil and the Leppards got down to the matter at hand. The initial plan was for Phil to hang around the studio and put down lead guitar parts on a handful of tracks, just to see if the chemistry was right. Mensch figured that since Pyromania was nowhere near completion, there would be plenty of time to repair any damage if Phil didn't work out. Phil received tapes of a few unfinished Pyromania tracks to cook up some solo ideas for them. 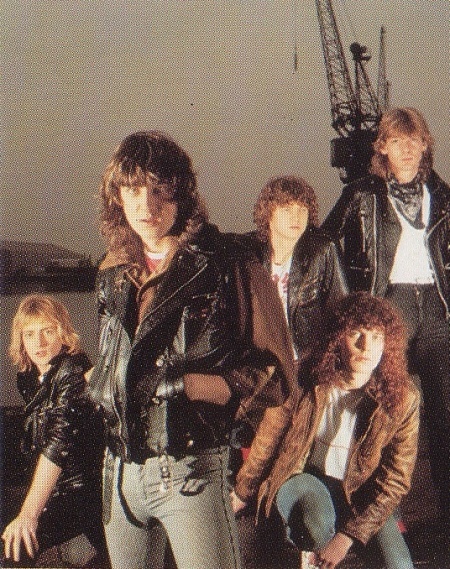 One of the songs, ironically was Stagefright, which had already been Pete Willis' undoing. The day after his first meeting with Def Leppard , Phil arrived at Battery Studios and told producer Mutt Lange that he'd worked up a little something for Stagefright. Phil played the solo for Mutt, cut it in one take and dropped in a couple of extra notes on another go-round. 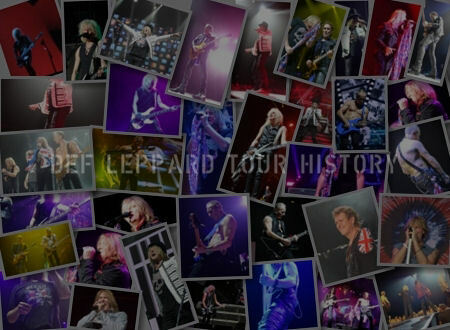 That was it, Phil Collen was a member of Def Leppard.